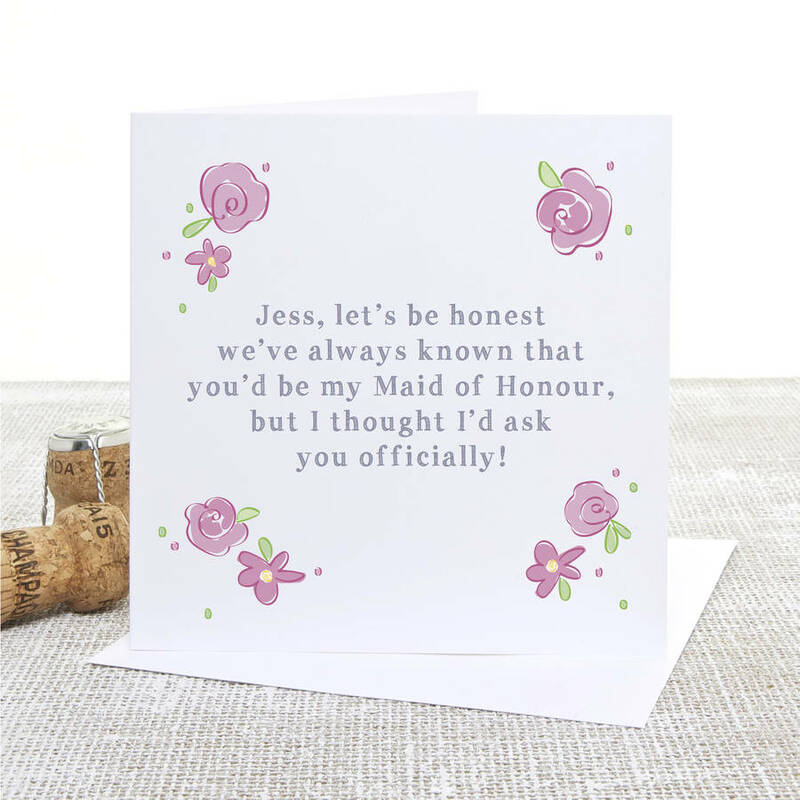 Our 'Will You Be My Maid of Honour' personalised Wedding card is perfect for asking your bestie or sister to be Maid of Honour. This card will be personalised with your Maid of Honour's name, please leave details when ordering. 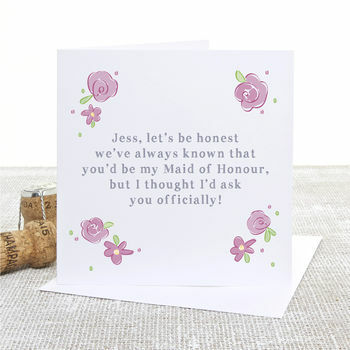 Also choose from Maid of Honour or Matron of Honour.